Container technology offers a dramatic change to virtualization deployments, including a significant shift in server selection. Container servers favor larger hardware and, as such, IT administrators must incorporate this into their server calculations. In comparison to hypervisor-based virtualization, containers need much less memory space for an instance. In a given server, admins might be able to pack in as many as three times the number of containers than VMs. Memory efficiency is the primary reason for the increased density in container servers, but the low overhead of containers also increases workload speed. Evolutions in storage technology have also made larger servers more suitable for containers. Solid-state drives increase speeds and nonvolatile dual-inline memory modules boost that even more. Using nonvolatile memory express can deliver data directly to containers, even with increased instance counts. As the number of containers increases, large container servers will likely remain the best option for admins considering this technology. 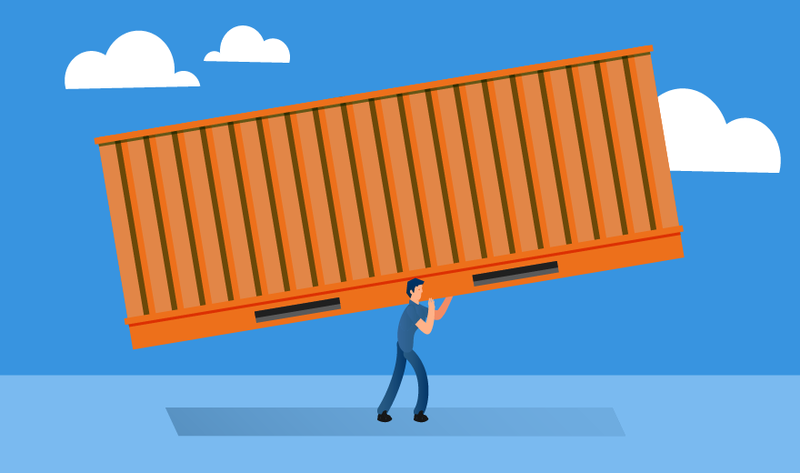 What role do you foresee containers playing in the data center?